Young people across London asked for more opportunities to perform and we listened! We’re now only two days away from our Wired4Music 5th Birthday Takeover at Rich Mix – where anyone aged 16-25 has the opportunity to sign up to perform open mic, discover new emerging artists, and network. Please help us reach as many 16-25s as possible! We enjoyed delivering workshops about youth voice at Ealing and Tri-Borough Hub conferences. 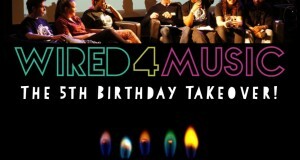 Wired4Music members co-facilitated student consultation sessions in East London schools. We’re working with a variety of Hubs in London and beyond to develop youth voice practice and establish youth leadership programmes.